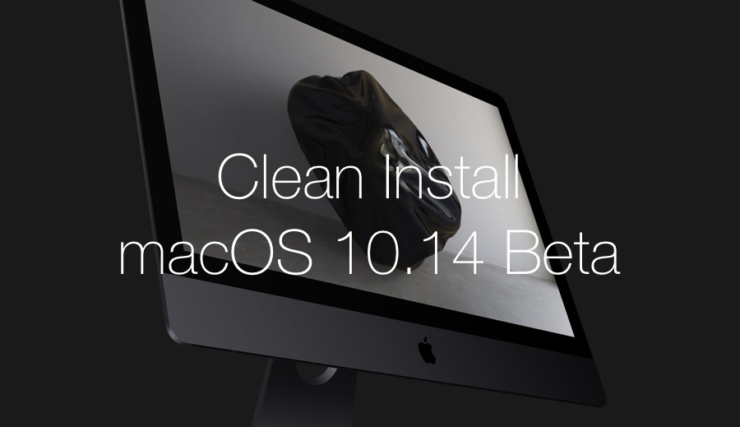 Here’s a complete guide on how to clean install macOS 10.14 Beta on your Mac. We’ll also show you how to create a macOS 10.14 Beta USB Installer drive. Over the air installations of software work fine as long as you don’t get into too much detail of what you might lose in terms of performance. Minor performance issues are mostly eradicated if you are taking the clean install route. If you’ve made up your mind and wish to clean install macOS 10.14 Beta then here’s how you can do it by creating a USB Installer. First and foremost, get yourself a 16GB USB drive. Make sure it’s at least USB 3 compatible otherwise it will be painfully slow for installation purposes. If you already own one then it’ll do just fine as long as it works OK.
Download the macOS 10.14 Beta image file from the Mac App Store. You can follow the ‘Over the Air’ method outlined here in order to do so. Except that when you are done with the download of the OS, don’t run it. Just leave it be in the Applications folder. With the macOS 10.14 Beta laying dormant in Applications and your USB drive done erasing, launch Terminal. Now type in the following command exactly as it’s written. There’s no margin of error in this at all. There’s a chance that the formatting of the site will show the double ‘-‘ as a single one. If that’s the case then please rewrite the code with the proper double dashes in place. Refer to the screenshot below to see what I’m talking about. If everything goes well, you’ll be asked to enter your Mac’s password, your USB drive will be formatted properly and the files will start to copy. You will be notified when everything is complete so stay calm during the process. With the USB Installer plugged into your Mac, restart and hold down the Option key. When you see the option to select a drive, select the macOS 10.14 USB Installer disk. 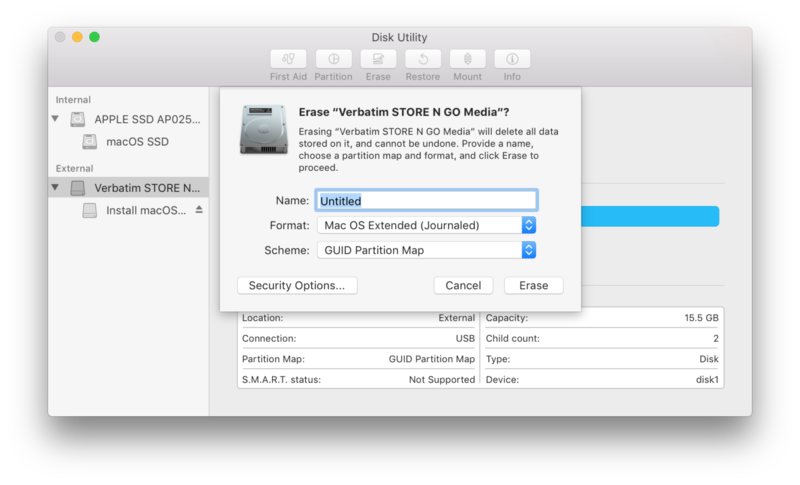 Start things off by going to Disk Utility and erasing your Mac’s main storage drive. Once done, go back to the main screen by closing Disk Utility and then following the on-screen instructions for installation.